After school musical production class. Both the dress rehearsal and performance will take place at the main stage theater in Mission Hills, located inside Mission Hills United Church of Christ at 4070 Jackdaw Street, Mission Hills, 92103. After you have registered your child for one of our after school programs. Please complete the following online form. 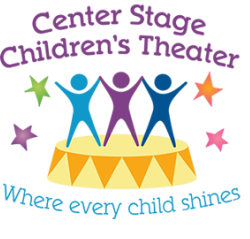 Center Stage Children's Theatre provides numerous in school and after school programs at elementary schools in San Diego. These programs have varied curricula, but all focus on teaching the art of theatre to our youth. Explorer Elementary Charter School is an independent public school located at Liberty Station, founded in 2000, which serves 340 children in grades K-5 who are enrolled by lottery from throughout San Diego. Explorer’s mission is to successfully blend a child-centered, socially intelligent approach to education with exemplary curriculum and high standards for its students. Explorer is committed to providing an environment that emphasizes learning as an interactive process focusing on individual needs of students. The School strives to develop critical thinkers who are caring, confident and lifelong learners in a diverse community that is sensitive to the needs of each child. CSCT provides an after school performing arts program at Explorer. The San Diego Cooperative Charter School (SDCCS) is a K-8 public, charter school located in the community of Linda Vista, where CSCT provides an after school performing arts program. The San Diego Cooperative Charter school is a tuition free charter school that accepts children from anywhere in San Diego County. SDCCS is distinctive for its small class size, the growing diversity of faculty and students, the high quality of its teachers, a caring and nurturing environment, and the strength of its curriculum. The school’s goal for each student is always the same: to provide significant experiences that will begin a lifelong process of discovery leading to a richly rewarding and happy life. Urban Discovery Academy is a K-8 public charter school located in the east village of downtown San Diego. 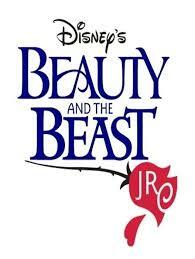 CSCT provides after school theater enrichment classes. The mission of Urban Discovery Academy is to provide a rigorous education that develops the whole child as a scholar, athlete, artist and democratic member of society. The vision of Urban Discovery Academy is to help create a downtown village that is not only physically beautiful but also a beautiful place to raise and educate children. UDA will be a school community that is interconnected with the community at large, with the support of civic leaders, businesses and resident organizations who believe our charter will enhance and enrich our vibrant downtown. A central goal of Urban Discovery Academy is to build a vibrant learning community, where students are actively engaged in their community, both as learners and contributors. In this community model, students will be expected to help each other excel, both within each classroom and across grade levels. Students and teachers will also be expected to engage with community partners, extending learning beyond the classroom walls. Through rigorous academic standards, high expectations, and a coordinated curriculum, the Coronado Unified School District, in partnership with our small, involved community, will graduate students with the knowledge and skills necessary to excel in higher education, careers, society, and life with the confidence not only to dream, but to determine their futures. Silver Strand's "Culture of Character"-We strive to create what we call a “Culture of Character” at Silver Strand, and one which creates a unique and tight-knit “family feel” that permeates the campus. From the principal to the staff members, and from the parents to our many community volunteers, we feel that all of our “oars are in the water and pulling in the same direction” as we seek to instill in our students skills which will allow them to be individuals of strong character. We work hard to be sure that each student feels safe and secure, engaged and connected, academically and emotionally supported, and that their good character is consistently strengthened and recognized. is a K-8th grade charter school, with our charter petition approved by the San Diego Unified School District. We have a maximum number of 270 students, in grades kindergarten through 8th grade, with a maximum number of 30 students in each class. Our latest API score (in 2013), was 901, with a statewide ranking of 9 out of 10. Our demographics continue to move towards matching those of the SDUSD district, and we are striving to create a diverse learning environment, promoting equity and excellence for all students. We are a uniform school, with strict adherence to the dress code and high expectations for positive behavior, assuring students are safe, respectful, and responsible. There are 11 Guiding Principles that represent the expected behaviors of each and every OTA stakeholder(students, staff and parents): communication, collaboration, curiosity, courage, responsibility, reflection, persistence, integrity, compassion, transparency, and accountability. At Old Town Academy, we are focused on Core Knowledge, Project-Based Learning, and Digital Literacy. Our emphasis is on the process of learning, and developing high-achieving independent learners, who will be prepared for success in high school, that will enable them to be college and career ready. We offer an extensive after school enrichment program, with offerings in ballet, violin, Spanish, piano, karate, soccer, tennis, yoga, volleyball, STEM, chess, robotics, and more. Our enrichment program is an extension of classroom learning, and leads to further development of well-rounded students who will become active thinkers and lifelong learners.